A wonderful new project at Tasikoki, one that makes volunteering even more rewarding. So one project the volunteers started was the restoration of the sea grass plains just off the Tasikoki beach front. I was looking for something that the volunteers could do that would be a break from the daily routine we engage in each day. After talking with Willy one day at his Tomahon residence he mentioned how turtles and dugong used to come graze on our sea grass fields. he described how they had been hunted locally which meant the sea grass grew unchecked without it’s largest predators. This means the blades grow several feet long which causes less sunlight to reach the sea floor, which prohibits the growth of many small clumps of soft corals. 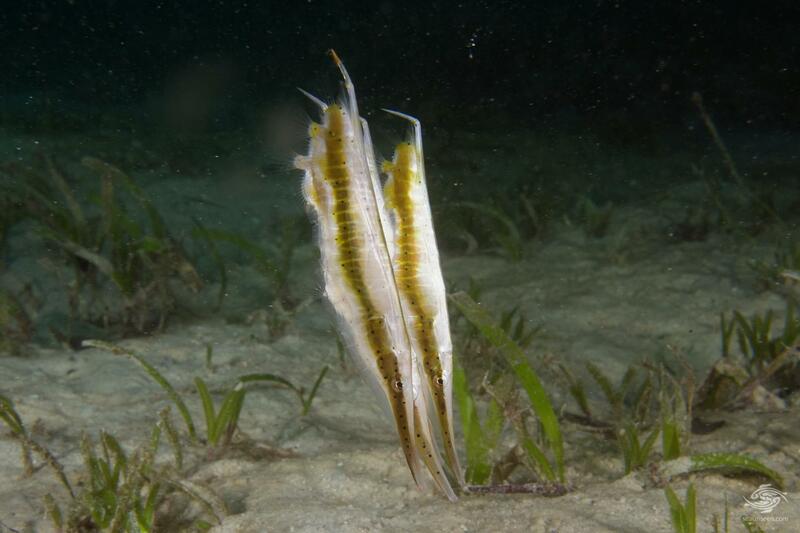 A healthy sea grass plain can support so much biodiversity in the form of microscopic life forms, crustaceans, fish, cuttlefish and a huge variety of fish. I joked that maybe the volunteers could start restoration by cutting down the sea grass and to my surprise he agreed most enthusiastically. Thus was born the exclusive group known as the Tasikoki Sea Cows. Each Sunday at 9am the volunteers make their way down to the beach and along to the sea grass plains, armed with mask, snorkel, secateurs and a sack. 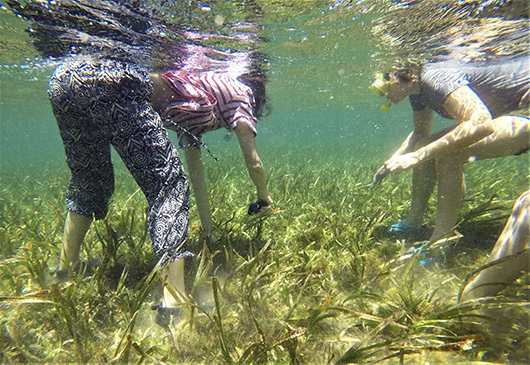 Then off we go, bobbing along over the seagrass cutting the linger blades down to about six inches in length. It is an amazingly peaceful and relaxing thing to do, especially on hot day. Now we have only been doing this for about two months and already I can see a difference. We now have these huge shoals of emerald fish moving back in to graze on the sea grass, removing lots of microscopic algae, bacteria and crustaceans. Last week I saw a shoal of fish of a species I have never seen before, grazing not on the grass but on the sandy bottom, leaving huge clouds of sediment drifting in the slight current. Amongst other species I have seen for the first time in three years here are large green sea horses, bright red sea snails and a large stunning species of shrimpfish, unusual because they swim with their heads pointing down and bottoms up in the water pointed at the sun. It’s great fun to do but to be an official Tasikoki Sea Cow you have to volunteer here and make sure you bring some good secateurs with you as you will need them.